I have been wearing eyeglasses for about 10 years now but I normally go to see an eye care professional every 2-3 years. No wonder my eye sight has been getting so much worse lately, I am not going often enough. I visited my local Walmart Vision Center a few weeks ago to get an updated prescription and the doctor told me that it is recommended we visit an eye doctor once a year, children included. The doctor knew that I was there to get Transitions® lenses – the #1 recommended adaptive lenses worldwide – and spent some time explaining to me how these lenses worked and how they would help my overall eye health. My eyes are not, per say, old eyes. But they are the eyes of a very tired mom who gets a few hours of sleep per night and then works up to 9 hours a day on the computer. All this is a lot of work for one pair of eyes, so it is no wonder that they are almost always red. To top it all of, I never protect my eyes from UV rays, which are harmful to eyesight. Transitions® lenses lenses block 100 percent of harmful UVA and UVB rays – helping to protect the health and wellness of your eyes – so you can see better tomorrow as well. I have wanted to try them out for years now but never made the plunge because I didn't realize how they would actually better my eye health. Transitions lenses enhance your vision by providing more clarity and better contrast, and reducing glare, eye fatigue and strain – for more effortless sight. Transitions lenses adapt to the variation of light so you will always have the best lighting for your eyes and see your best. I was really excited to go next door to pick my frames next. I've never had a problem wearing eyeglasses because I have always been able to find frames that I really like. You might not think that Walmart would have really cool frames, but I was very pleasantly surprised at the selection and how many frames I fell in love with. I wanted to take home four of them in total and the good thing is that all of the prices were affordable so I can definitely go back and get another pair soon. These were one of my faves. Picking out the frames was the hardest part about this trip to the eye doctor. The checkup was smooth and easy and after picking out my frames I got to sit down and decided what color and strength I wanted for my Transitions lenses. The optical assistant even sent me outside so I could compare the brown tint versus the gray and to get a peek of how my lenses would allow me to see the world in such great new light. I picked the gray tint which was more soothing to my eyes. 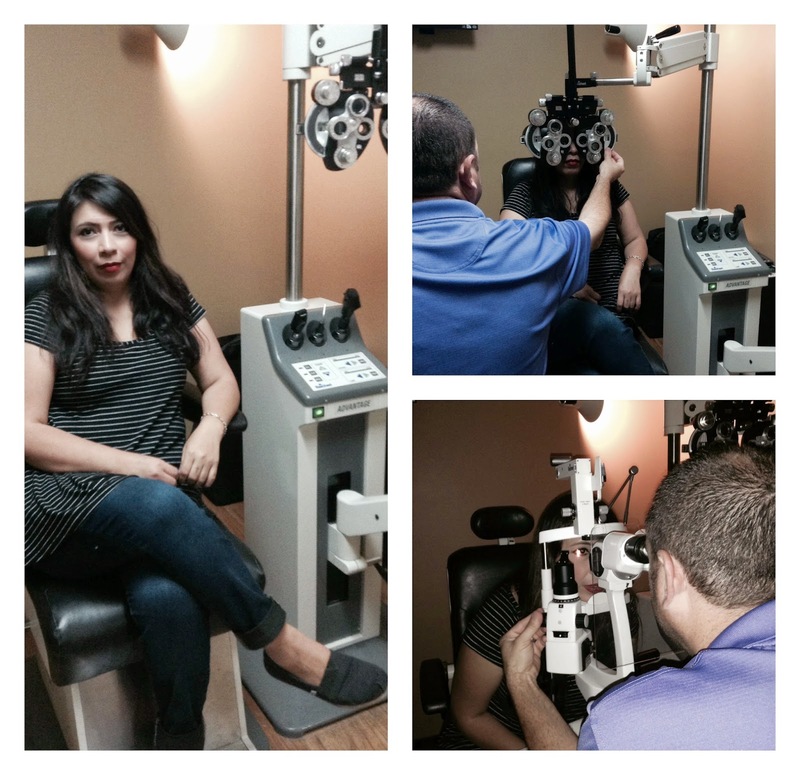 This whole eye care experience was very positive for me. I learned that I need to be more vigilant about my eye health, as well as that of my kids. I learned how Transitions lenses enhance your vision by providing more clarity and better contrast, and reducing glare, eye fatigue and strain – for more effortless sight. Finally my tired little eyes will be getting some rest from all of that UV strain. By the time I walked out well informed and after picking out a super cool new pair of frames, I had already arranged to take Sammy in the next few weeks too. In fact I am going to have all of the girls go, they don't wear glasses but it's a good idea to see if anyone else needs them. If you have been wondering about Transitions lenses, they are offering a free trial at the moment. 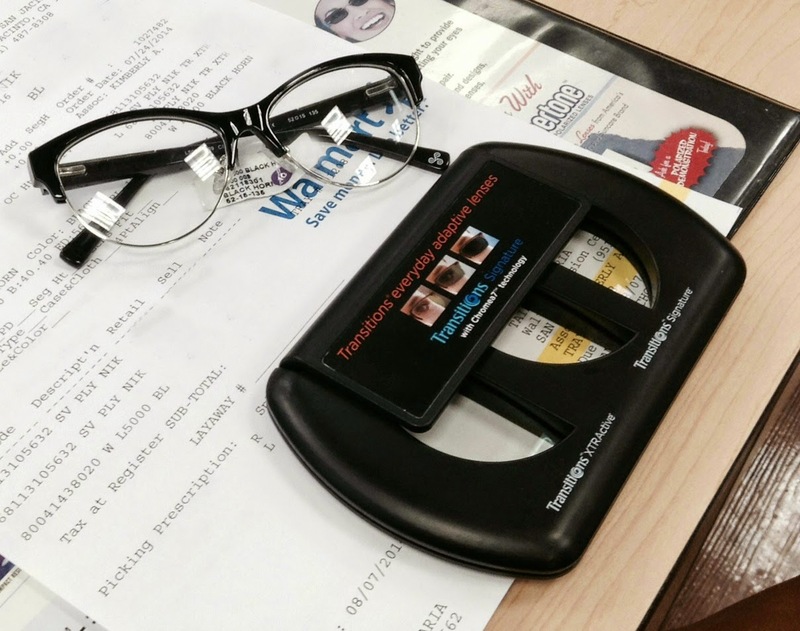 You can also visit the optical center at your Walmart or any other eye professional and get more info. I picked up my glasses the other day and I am enjoying how nice they are out in the sun. I have barely had them a few days but I will be back to update you with my Transitions lenses experience soon! For now, I am stoked that my tired eyes are getting all that UV protection, and my glasses are pretty cool too!